A place to lay his hat. To sit down and to be unsure with nothing but the blank canvas in front of him. 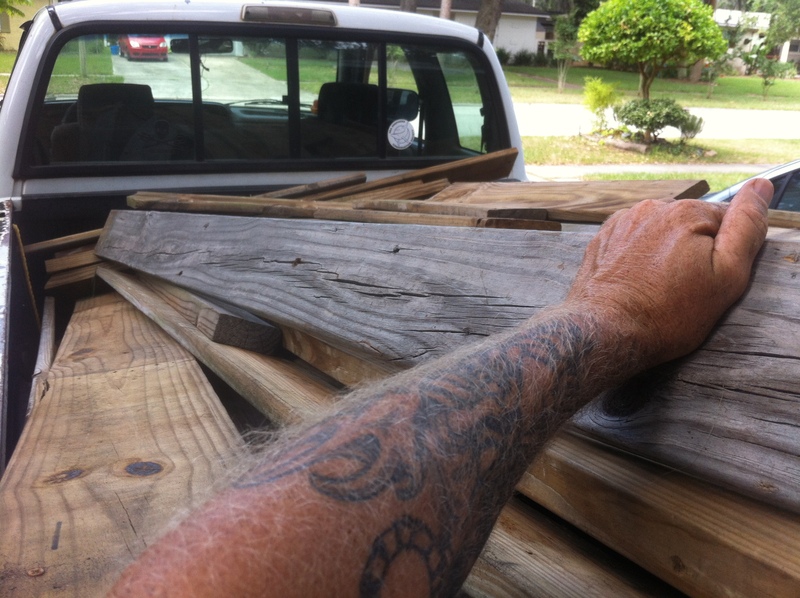 I received a text that a deck had been torn down- that the aged wood was available. After sorting and loading, it’s now parked in my drive. First I will drag around the yard choice pieces, playing with ideas and checking for lengths as to what is possible. Then something will be built. The thrill of possibility – of creating something from nothing. Is there any other way to garden. Will we find out how it turns out? The wood is stacked and will be until one day some need will arise.